World Wrestling Entertainment, Inc., doing business as WWE, is an American entertainment company that deals primarily in professional wrestling, with revenue also coming from film, music, video games, product licensing, and direct product sales. The company's majority owner is its chairman and CEO, Vince McMahon. Along with his wife Linda, children Shane and Stephanie, and son-in-law Paul "Triple H" Levesque, the McMahon family holds approximately 70% of WWE's equity and 96% of the voting power. The current entity, incorporated on February 21, 1980, was previously known as Titan Sports, Inc., which was founded in 1979 in South Yarmouth, Massachusetts. 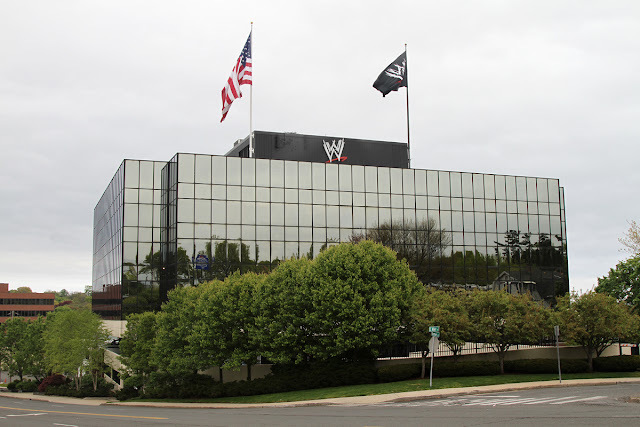 It acquired Capitol Wrestling Corporation, the holding company for the World Wrestling Federation, in 1982. Titan was renamed World Wrestling Federation, Inc. in 1998, then World Wrestling Federation Entertainment, Inc. in 1999, and finally the current World Wrestling Entertainment, Inc. in 2002. Since 2011, the company has officially branded itself solely as WWE though the company's legal name was not changed.